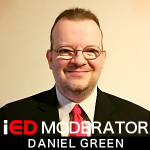 Daniel Green is the Co-Chairman of the Mid-America Chapter of the Immersive Education Initiative, and has been involved in teaching coding skills with immersive technologies. He points to a lot of educational resources at code.org that they use including curriculums using MIT’s 2D, drag-and-drop gaming platform Scratch, the 3D platform of Alice, Greenfoot for teaching introductory Java programming, and then programming mods within Minecraft. There’s also MinecraftEDU, which has a community of educators who share their programs with each other.